Critical Facts About Hepatitis | The Benefits Store, Inc.
Home > California Health Insurance News > California Association of Realtors > What Is Hepatitis? Hepatitis is a condition that affects many people every year. Hepatitis A is the most common and affects over 150,000 Americans every year. Every year, 250,000 Americans contract Hepatitis B. Hepatitis C, which is the leading cause of cirrhosis and liver cancer, is by far the most dangerous. In 2016, there were 3,000 reported cases in the U.S. However, the CDC estimates that there may have been as many as 41,000 total cases. It’s become an emerging public health threat, which is why May was named Hepatitis Awareness Month. 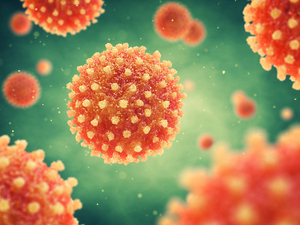 Although Hepatitis C can be incredibly dangerous, it can be cured. The CDC estimates that over 3.5 million Americans have the disease and don’t even realize it. In fact, people can be infected for more than three decades without knowing, which is why the disease is often referred to as “the silent epidemic.” Roughly 70 to 80 percent of the people that catch it won’t experience any symptoms. Symptoms may be limited to feeling nausea or fatigue. Getting tested for it is important for these very reasons. Baby Boomers, in particular, should get tested since they are five times more likely to have it than other generations. Unfortunately, there’s no vaccine that will effectively prevent it because there are so many different strains of it. However, anyone that has contracted this type can take medication that will cure it. In fact, there is a 95 percent chance that the drugs developed to cure Hepatitis C will cure you completely, thereby eliminating the risk of liver cancer and cirrhosis. There are many steps you can take to help prevent it as well, including avoiding risky behaviors, such as sharing needles or personal items that might have blood on them. Even though there is a cure for the disease, many people are living with the disease and don’t realize it. Be sure to get checked this year. For more health news, visit us at The Benefits Store today.